A Chicago hospital lost Medicare certification; see below. The National Committee for Quality Assurance has released its 2018-19 Medicaid health plan ratings. NCQA rated Illinois Medicaid MCOs overall in the middle range of scores, between 2.5 and 3.5 overall (on a scale of 1 to 5). Meridian Health Plan was rated highest of the state's Medicaid MCOs, with an overall rating of 3.5. IlliniCare Health Plan's MMAI product also received 3.5. Several insurers publicly reported only partial data and were not rated. Overall ratings are calculated by combining rating scores in three quality areas: consumer satisfaction, prevention, and treatment. The scores do not reflect the changes made in January 2018 as the state transitioned to statewide managed care coverage. See Illinois’ Medicaid and commercial insurer results and NCQA’s methodology. The Kaiser Family Foundation has posted its annual state Medicaid reports. Illinois’ profile shows that Medicaid and CHIP now cover 18% of Illinois’s 12.6 million people, including 1 in 7 adults and 3 in 8 children. Among adult Medicaid enrollees, 64% are working. About 690,000 Illinois enrollees are in the expansion group. A recent study by researchers at the University of Michigan, Federal Reserve Bank of Chicago, UIC, and Northwestern University found that Michigan’s Medicaid expansion significantly boosted the financial health of the state’s lower-income population. Those who gained coverage lower unpaid debt, higher credit scores, and fewer bankruptcies, evictions, and late payments. Health centers get funding. More than $13 million in opioid abuse-related funding is flowing into Illinois as part of $400 million in grants issued by Health Resources & Services Administration (HRSA). The IL grants, totalling $12.1 million, will be distributed to 40 community health centers to boost substance use disorder and mental health treatment; another $1.2 million will support partnerships with academic institutions to train more behavioral health workers. More details at HRSA. Rep. Krishnamoorthi seeks work requirement documents. Illinois Congressman Krishnamoorthi (D-8) and Maryland Rep. Elijah Cummings recently sent a letter to the House Committee on Oversight and Government Reform requesting it to compel HHS Secretary Alex Azar and CMS Administrator Seema Verma to produce documents, regarding efforts to impose burdensome new work requirements on Medicaid beneficiaries. Rep. Krishnamoorthi is the ranking member of the committee’s subcommittee on health care, benefits, and administrative rules. Chicago hospital loses Medicare accreditation. 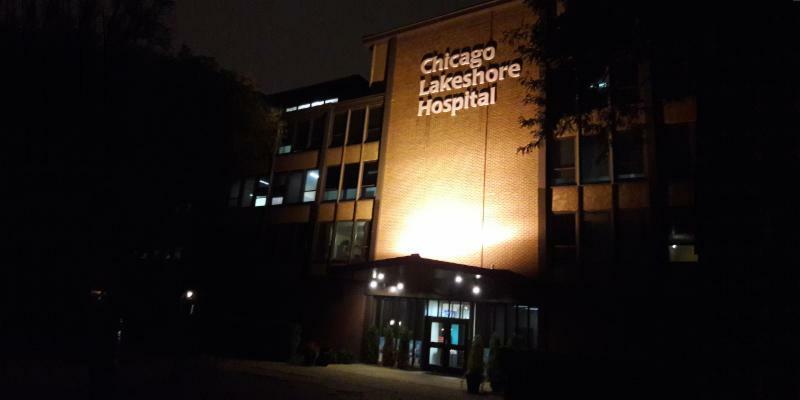 CMS on September 12 notified Chicago Lakeshore Hospital of its intent to terminate the hospital’s Medicare provider agreement. The action followed an Illinois Department of Public Health investigation that found the hospital had failed to provide adequate monitoring and risk prevention for suicidal patients. According to the termination notice, services to patients admitted after September 28 would not be reimbursed. "Intensive In-Home" pilot webinars. HFS has posted two webinars detailing the Intensive In-Home pilot, a pilot program approved as part of Illinois' Behavioral Health Transformation . One webinar focuses on the programmatic requirements of Intensive In-Home Services, the other on the unique billing and payment requirements. The agency has also made available the referral materials required to enroll an individual in the pilot.